I was incredibly humbled to be contacted by club secretary Matt Smyth that the club where I first fell in love with Gaelic Games was going to direct the funds from one of their most important (and badly needed) annual fundraisers to my efforts to get treatment for what this disease that I had acquired. It has been one of the most significant experiences of my return home after over 20 years and now walking with a stick that my first visit back to a park which held so many playing memories, now as a spectator and be welcomed by everyone as if the passing of time had never taken place.. The day itself was amazing, perfect weather ensured a big crowd of walkers and I took my place on a chair outside the clubhouse feeling just a little self conscious but once the banter and craic took centre stage it was easy to not feel self conscious, it was also a brilliant opportunity to see so many blasts from the past extend the condolences to the people, who always when you spend time away have experienced the loss of family or friends. 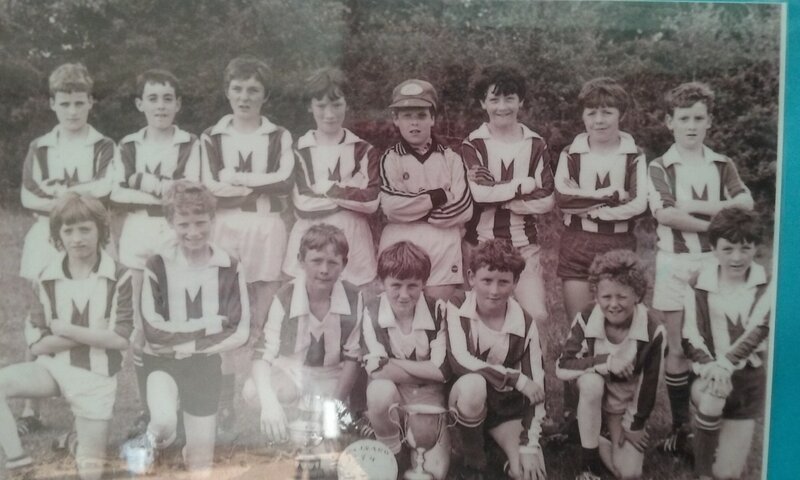 I had been part of a team a schoolboy team that broke a 30 year hiatus in 1984 for the minor club and that would go on to dominate minor tournaments for the next decade and produce something of a golden generation that ultimately never delivered that elusive Senior county championship... we were maybe too fond of the craic when we came of age! When you have been 'away' traveling for many years it is always great grounding to come back and slip back into the real situations and friendships that had been forged so long before... the day left a great impression on me! It was also the day I would once again meet fellow clubman and great friend the legendary Chopper and how poignant that meeting would become! The event in the end raised a total of €2,460!!! which has been deposited to the fund account (see below) and thank you to everyone who took part. "On Boxing Day Granard Gaa directed their annual fundraising walk to me and it was with big belly laughs, as it always was, that Chopper just turned up, as he always just did and said "you're an event manager... could you not have done something better than this... A WALK!! RIP Chopper... some of the biggest belly laughs I ever had... your likes will not be seen again... stunned"
You affected everyone you ever met and my heart pains to think of your wonderful family who along with so many have shared your infectious spirit that will ensure your immortality! Rest easy Chopper you are so missed!! 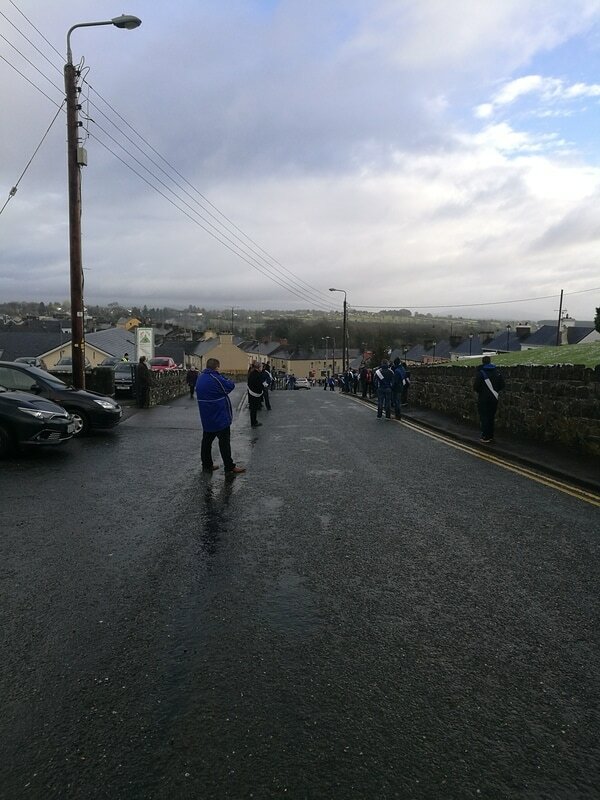 Granard GAA make a guard of honour lining the hill to Granard church awaiting Choppers final trip into town! 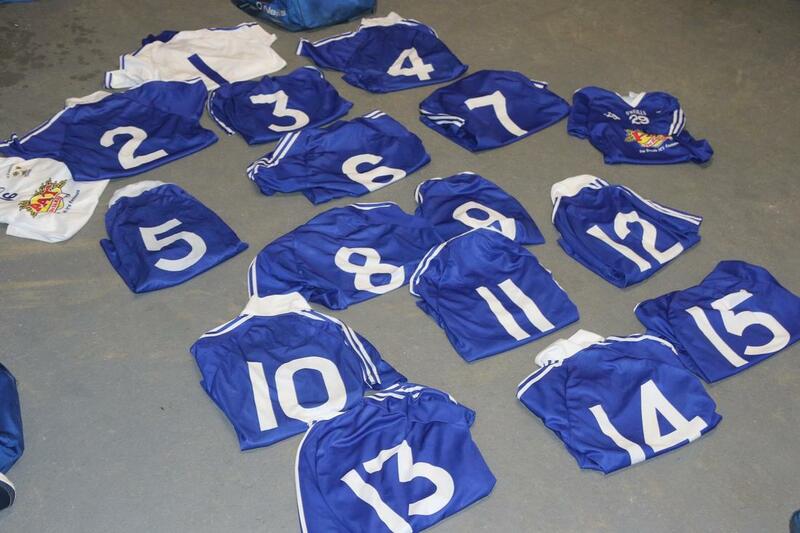 A humble club still very much in the blood!! !